The original. The timeless. The spiced hammiest of all SPAM® varieties. This is the taste that started it all back in 1937. 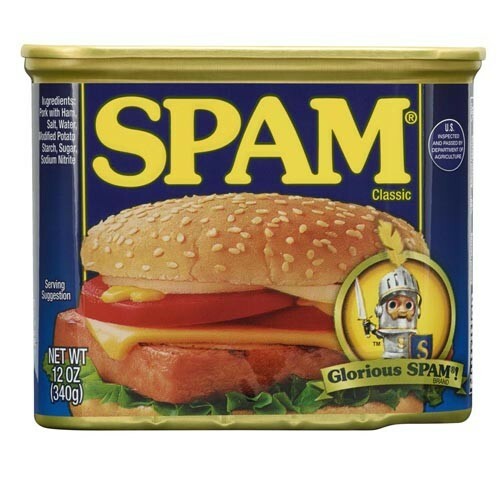 Like a true classic, the SPAM® variety at the heart of it all has captured hearts and taste buds by consistently bringing deliciousness and creativity to a wide range of meals. 12 OZ CAN *ADDITIONAL SHIPPING CHARGES WILL BE ADDED ON ANY FLAVOR. **CANNOT SHIP THIS PRODUCT OUTSIDE OF THE UNITED STATES.